It was worth the wait. These monster girls have been itching to go home with you, but we needed to make sure Smith-san approved of the transfer. Without further ado, here is the Monster Musume: Everyday Life with Monster Girls Premium Box Set with the highly sought after English dub! This striking chipboard box sets the ambience with a deluxe and an enhanced rendition of the girls getting ready to take on humanity. The premium box set release comes complete with a DVD/BLU-RAY combo. As an added bonus, we included reversible covers for your favorite monster girl! 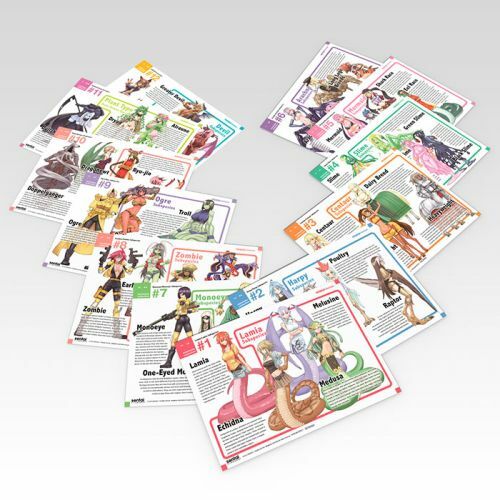 There are so many goodies in this premium box set that you won’t know what to check out first! Suu and Rachnera probably won’t judge you. These monster girls are ready for their close up in this alluring book with little comics. It’s an exclusive item for any collector that has a soft spot for impeccable art. You’ll recognize these designs from the show’s ending credits! These 12 art cards expand on the Monster Musume universe, bringing in a new dimension to our favorite show. The art and details give an exquisite dossier on the different kinds of monster girls. These non-adhesive stickers are the perfect decal for your laptop or desk. Since they use static electricity to stay in place, they won’t leave a mess and you can reuse them over and over again! 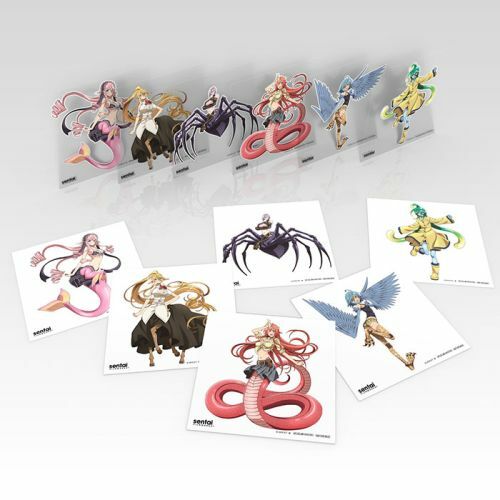 The Miia and Mero lenticular card comes to life when you move it, allowing you to carry a moment of the show with you wherever you go! These enchanting ladies are ready to jump away with you. This limited-edition poster will make a captivating piece in any room. The Monster Musume OST is a pleasure to the ears with its cutesy melodies. Remember: you’ll only be able to get the soundtrack through this edition! As with all of our premium box sets, we only create a set quantity. 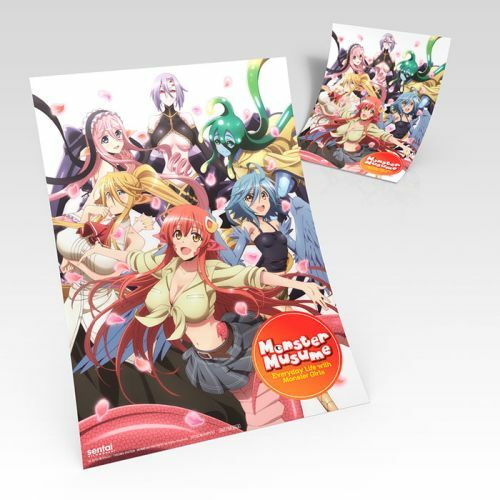 Once this Monster Musume: Everyday Life with Monster Girls premium box set is gone, it’s gone forever. Pre-order yours today!